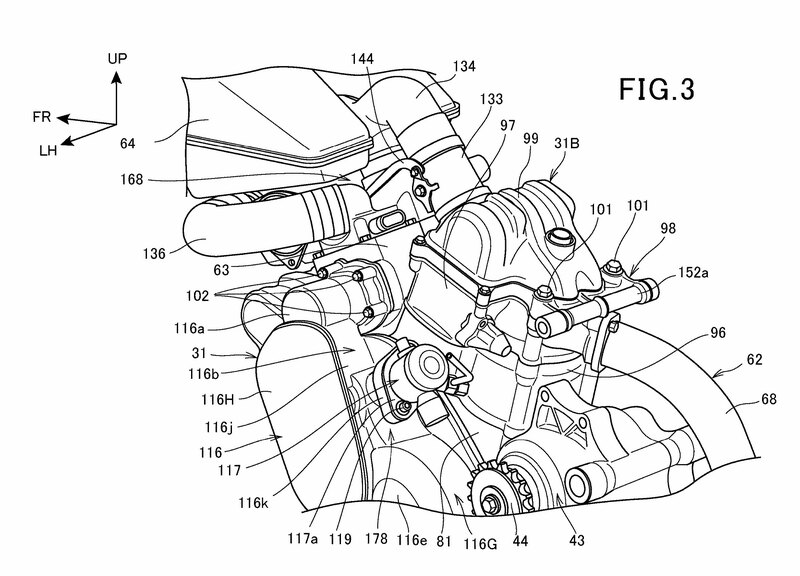 With Kawasaki about to reveal a third supercharged motorcycle, another Japanese manufacturer is working on its own forced induction bike. 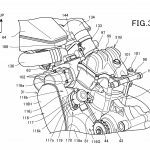 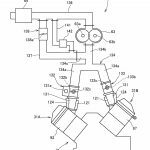 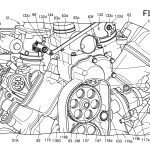 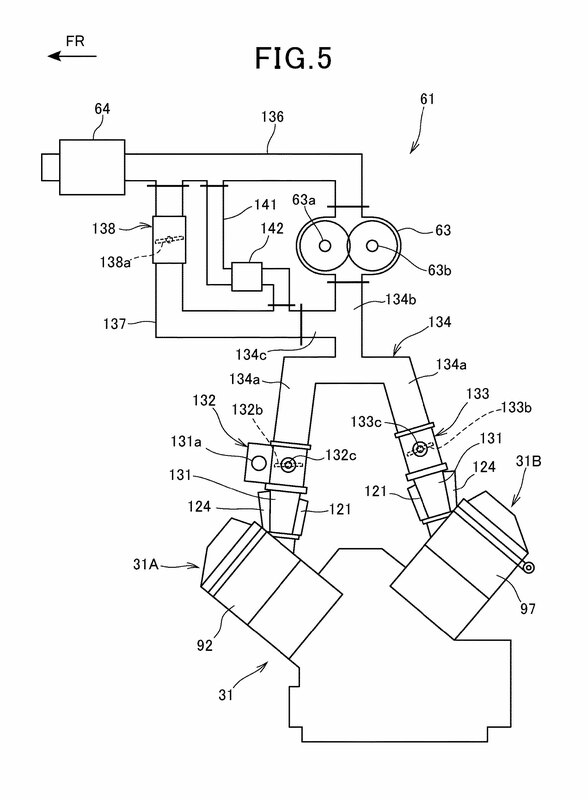 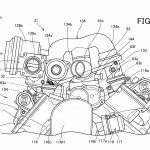 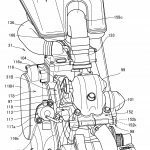 A couple of patent applications recently published by the U.S. Patent & Trademark Office reveal Honda is working on a motorcycle with a supercharged V-Twin engine with direct injection. 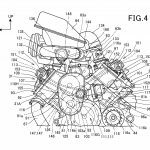 The two patents describe two different aspects of the same project, one describing the positioning of the supercharger and the other describes how the engine can be mounted to a motorcycle chassis. 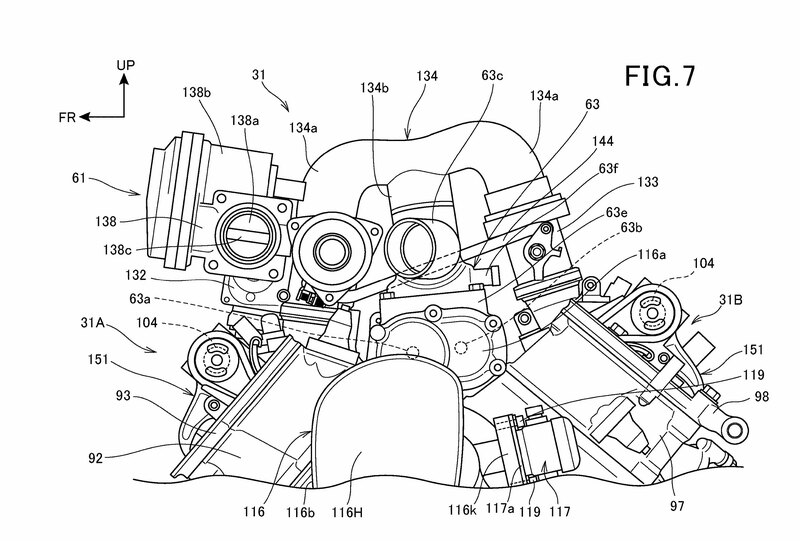 Both patents place emphasis on how to make the engine and motorcycle easier to assemble and produce; this, combined with the amount of detail used in illustrating various components, suggests this supercharged V-Twin project is pretty far in its development, especially if they already factoring how to make it more viable for mass production. 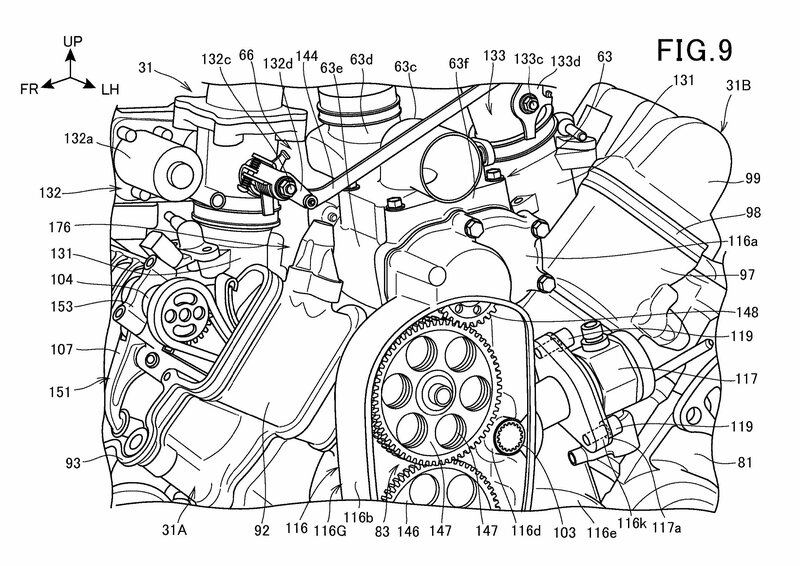 According to the patents, the supercharger (labeled 63 in the diagrams) is positioned inside the V between the two cylinder heads. The drawings show the twin cylinders arranged at a 90-degree angle, each with a single overhead camshaft. 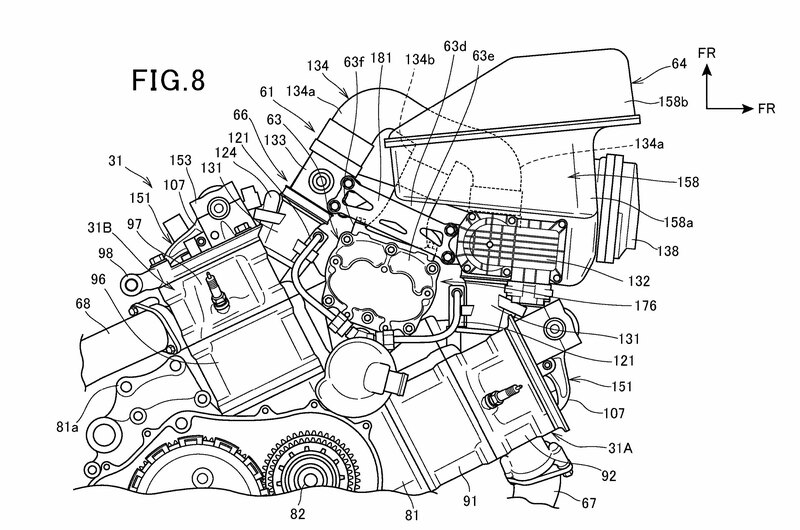 That vertically-aligned oblong shape (116) positioned next to the front cylinder is the housing for the gears that transmit power from the crankshaft to the compressor. 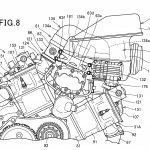 And if a supercharged V-Twin isn’t enough, the patents also describe a direct fuel injection system to spraying fuel directly into the cylinder, with secondary fuel injectors in the intake pipe. 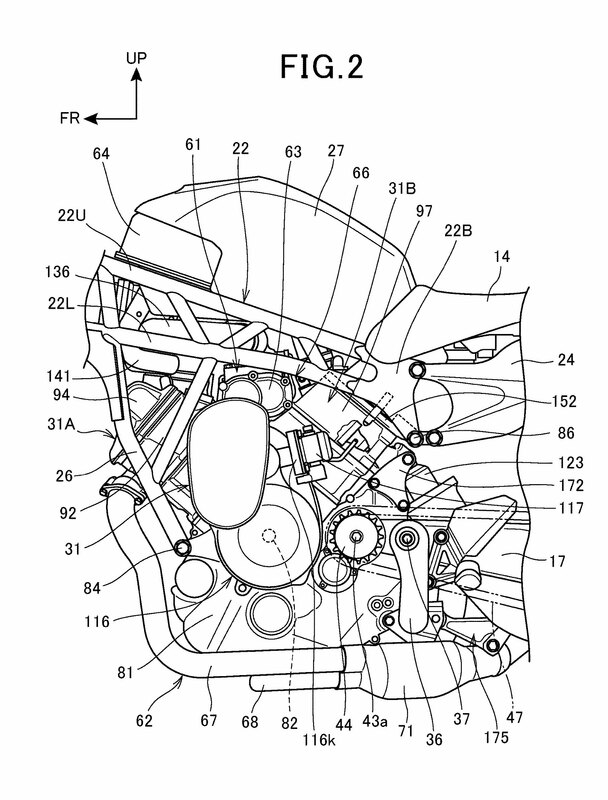 As for the rest of the motorcycle, the illustrations show a bike with a sculpted fuel tank, trellis frame, and a rising subframe supporting a stepped two-person seat. 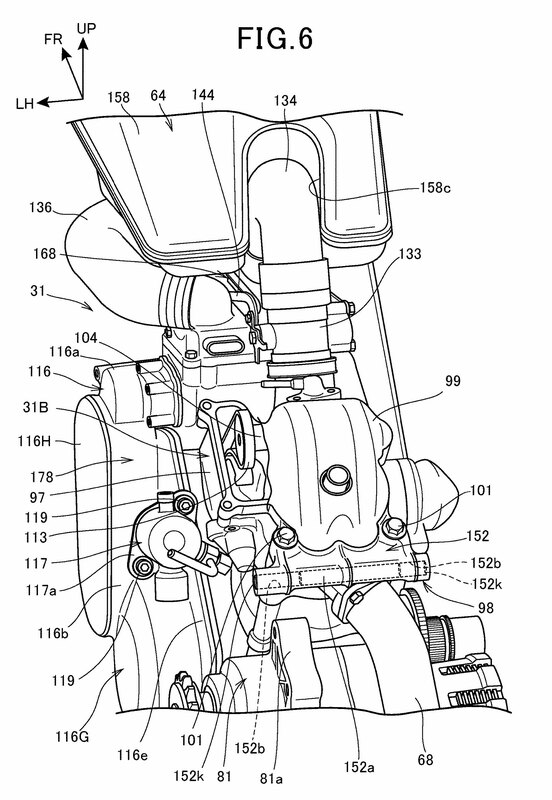 The rider footpegs are slightly rearset while the handlebars are raised, suggesting some sporty ergonomics without being too extreme. 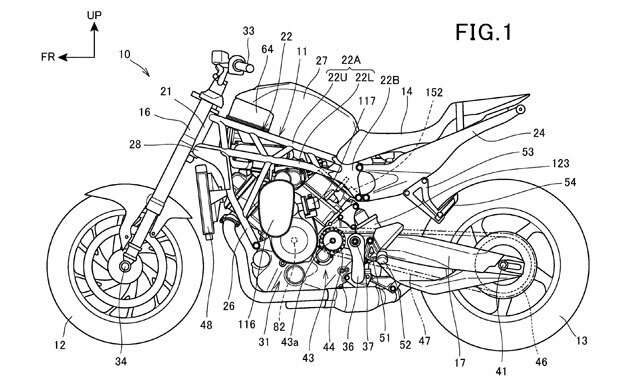 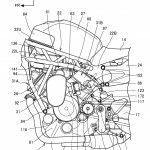 The patents don’t show any fairing, but that doesn’t mean much as the patents are focused on the bike’s internals. 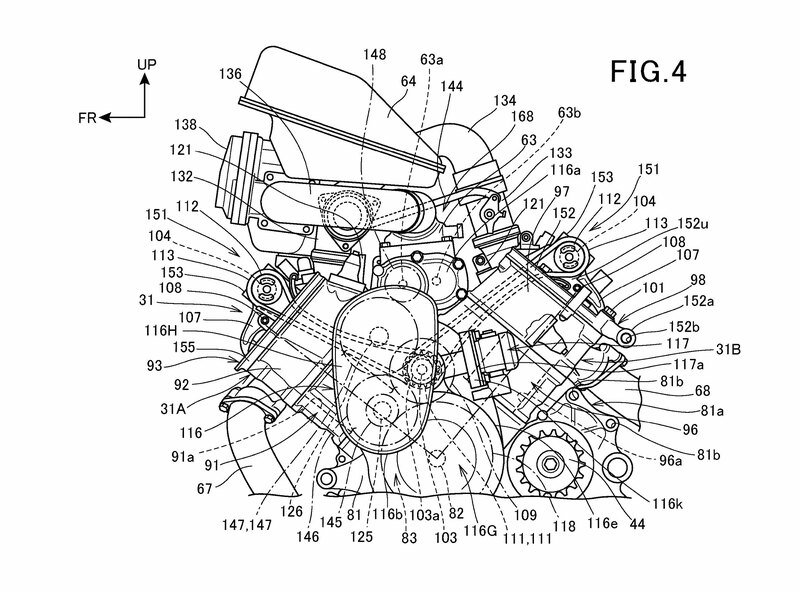 The engine appears fairly slim even with the cover for the supercharger drive gears, so it shouldn’t be too difficult to package it all inside some bodywork. 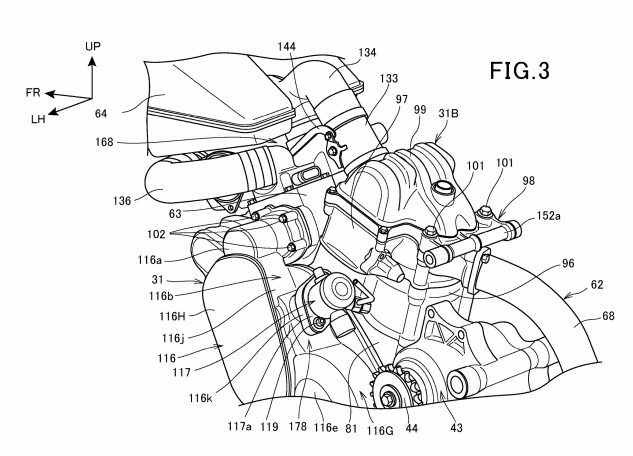 Based on what the patents reveal (with the caveat that there can still be some changes before we see either a prototype or production bike) our guess is we’re looking plans for a new Honda VTR Superhawk with a supercharged direct injection V-Twin engine. 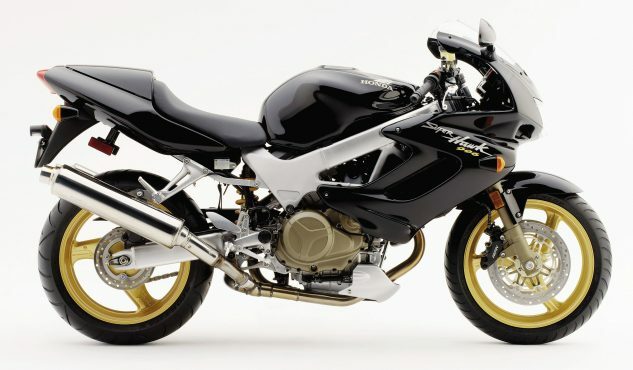 The Honda VTR1000F, known in the US as the SuperHawk and elsewhere as the Firestorm, also sported a 90-degree V-Twin, which displaced 996cc. There’s no timeline on if/when we’ll see something come out of these patents. 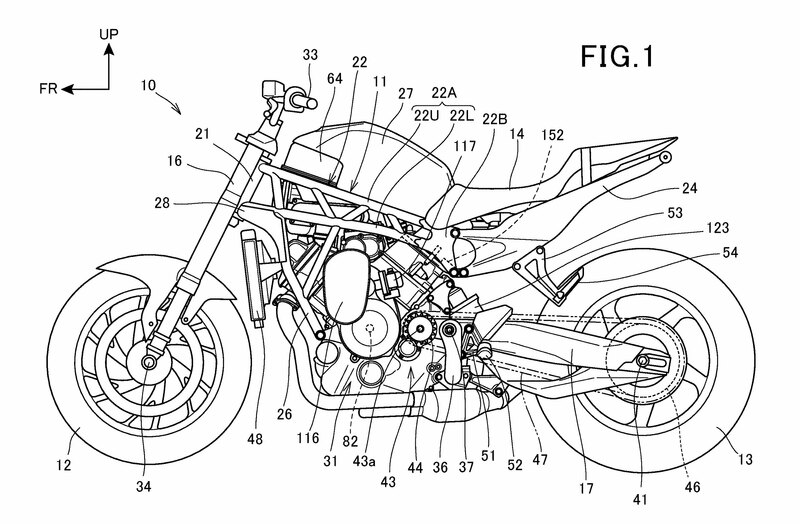 EICMA is coming up really fast, but next year might be more likely. 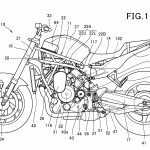 As always, Motorcycle.com will have more information as it becomes available.